Hercules Compression Seal Joints are preformed elastomeric Joint seals, resistant to external environment. The seal has an internal elastomeric cross-sectional web configuration, which allows the seal to exert a continuous and uniform force against the joint walls. 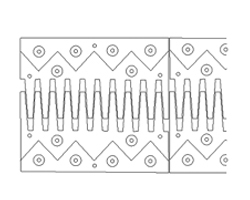 The seal width is always greater than the maximum Joint opening, so that it remains constantly under a state of compression, whether the Joint gap increases or decreases. These Joints are supplied and installed in full conformity with MORT&H specifications and guidelines. The concept of finger joint system is inspired by the fingers of our hands cross linked together like a cot to provide greater strength and flexibility to expand and contract depending upon the surrounding temperature. It provides a solid gluing surface. Unlike other joints, the gaps are not visible as the fingers act as a covering system itself. Hence, the road surface is smooth and aesthetically pleasing. Hercules supplies and installs Modular Joints manufactured by Sunyang Industrial Corporation, Taiwan. 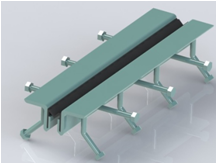 These joints accommodates and seals large joint movements on Bridge structures and are designed to provide watertight, fatigue resistant, long term, maintenance free performance. 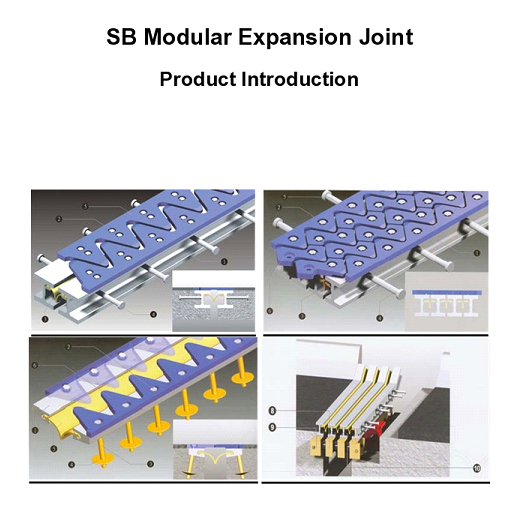 The expansion joint assembly consists of a modular, multiple seal joint system that will allow movements, as per design movements. 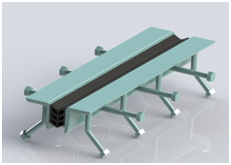 The system consists of preformed neoprene strip seals secured by steel edge beam and separation beams. Each separation beam is supported by a support bar attached to separation beam. The support bars are suspended over the joint opening using sliding elastomeric bearings. An equidistant control system maintains uniform joint closing or opening during Expansion or contraction.